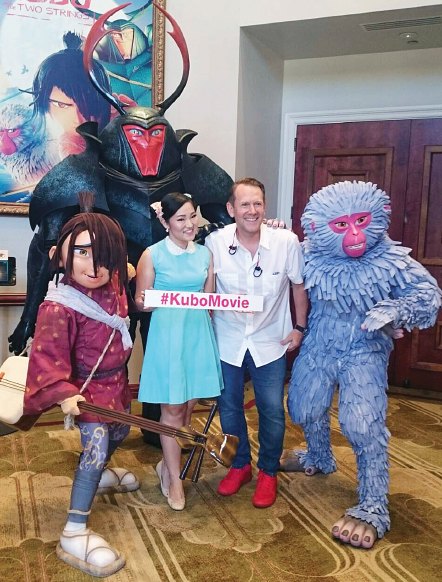 On Aug. 10 at Universal Studios, Alpha Takahashi, who voices Aiko in “Kubo and the Two Strings,” visited with Laika CFO Bradley Wald and the characters Kubo, Beetle and Monkey. Laika, in advance of the upcoming release of “Kubo and the Two Strings,” will feature the pop-up exhibit “The Artistry of Kubo: A Magical Laika Experience” at the Japanese American National Museum, 100 N. Central Ave. (at First Street) in Los Angeles. Visitors will get a behind-the-scenes interactive peek at the animated film through monsters, origami, costumes and other elements from the production presented in JANM’s George and Sakaye Aratani Central Hall from Saturday, Aug. 13, to Tuesday, Aug. 30. The exhibition will combine both traditional and digital interactive installations. Puppets, sets, props, and other items will be displayed in custom-made environments; character and set designs, concept art and origami from the production will be included. “At Laika, we aspire to make films that are bold, distinctive, and enduring,” said Knight. “This film expresses the respect and admiration all the artists at Laika feel for Japan and its culture, and I’m thrilled to be able to bring our art to JANM’s visitors. The museum is one of the artistic treasures of Los Angeles, and it’s an honor for us to be part of their service to the community. “My own introduction to Japan started over 30 years ago, when I accompanied my father on one of his business trips there. I grew up in the Pacific Northwest, and from the moment I set foot in Japan, it was like I’d been transported to another world. It was unlike anything I’d ever experienced. It was beautiful, breathtaking, almost otherworldly. The architecture, the art, the food, the style of dress, the music, the movies, the television shows, and comic books — everything was a revelation. 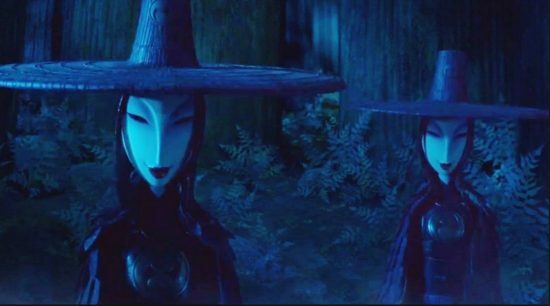 Hosato, the character voiced by George Takei in “Kubo and the Two Strings.” Hosato is Takei’s Japanese name. In a special ceremony on Thursday, Aug. 25, iconic actor and human rights activist Takei will present to JANM the “Hosato” puppet, which will be included in a retrospective on his life and career that the museum will exhibit in 2017. 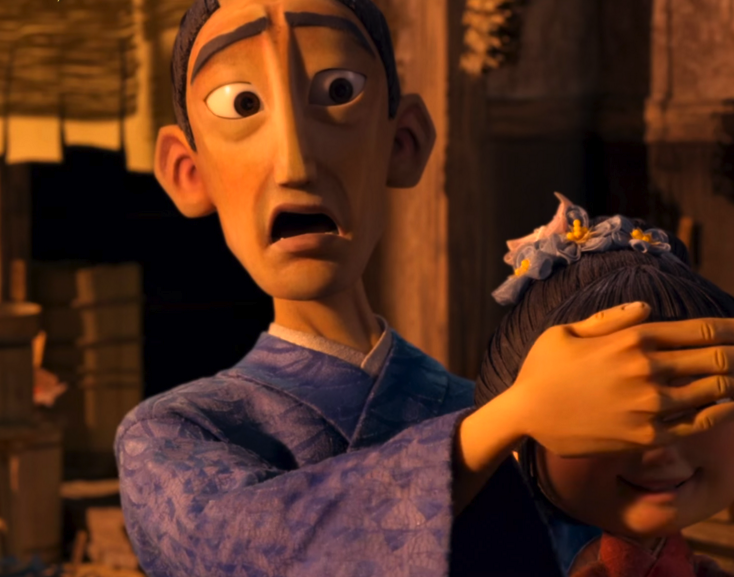 In “Kubo and the Two Strings,” Hosato is a village elder who helps children understand the significance of the Obon observance, which honors ancestors who have passed. Origami was a guiding creative inspiration for the Laika team in making the film. In the art of origami, every fold, crease, and tuck conveys a meaning. The same can be said for Laika, where every filmic moment is created with a meticulous attention to detail, combining the age-old stop-motion animation format with the most cutting-edge technologies, including the studio’s rapid-prototyping innovations and state-of-the-art visual effects. Taking inspiration from origami, the exhibit will feature a framework of “unfolding moments” that live within the perimeter of a linear, geometric architectural space. From afar, this multi-dimensional creation will look like one homogenous sculptural installation, but a closer look inside the structure will reveal specific landscapes and moments from the film, unfolding right before a visitor’s eyes. Laika’s intensive research into Japanese culture and art will also be referenced in the exhibit, articulating the artistic influences that guided the filmmakers in every stage of production. This East +West exhibit will pay tribute to the Japanese culture as seen through the artistic prism of Laika’s over 400 artists and technicians from around the world. Admission to “The Artistry of Kubo: A Magical Laika Experience” will be free and separate from admission to the other exhibitions currently on view at JANM. Admission to all other museum exhibitions remains $9 for adults; $5 for seniors (62 and over), students with valid ID, and youth ages 6-17. Children 5 and under and JANM members always enjoy free admission. Evil twins are among the enemies that challenge Kubo and his friends. 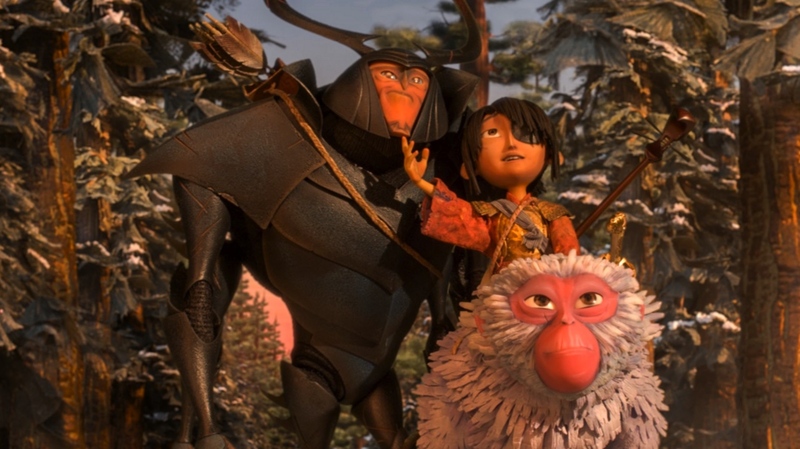 “Kubo and the Two Strings” is an epic action-adventure film set in a fantastical Japan. Clever, kindhearted Kubo (voiced by Art Parkinson, who plays Rickon Stark on “Game of Thrones”) ekes out a humble living, telling stories to the people of his seaside town. But his quiet existence is shattered when he accidentally summons a spirit from his past that storms down from the heavens to enforce an age-old vendetta. Now on the run, Kubo joins forces with Monkey (Charlize Theron) and Beetle (Matthew McConaughey) and sets out on a thrilling quest to save his family and solve the mystery of his fallen father, the greatest samurai warrior the world has ever known. With the help of his shamisen — a magical musical instrument — Kubo battles gods and monsters, including the vengeful Moon King (Ralph Fiennes) and the evil twin Sisters (Rooney Mara) to unlock the secret of his legacy, reunite his family and fulfill his heroic destiny. The voice cast also includes Cary-Hiroyuki Tagawa, Brenda Vaccaro, Meyrick Murphy, Minae Noji, Alpha Takahashi, Laura Miro, and Ken Takemoto. MPAA-rated PG, “Kubo and the Two Strings” opens nationwide from Focus Features on Friday, Aug. 19. For more information, visit www.kubothemovie.com.